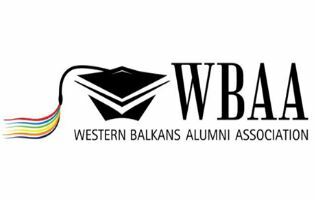 The Western Balkans Alumni Association is a recently established regional network of students and alumni from the Western Balkan region (Albania, Bosnia and Herzegovina, Kosovo1*, the Former Yugoslav Republic of Macedonia, Montenegro and Serbia). It has been conceived as a non-profit and non-governmental organisation based on the principles of democracy, cohesion, solidarity and equality. WBAA aims to provide a platform for knowledge exchange and advocate for modernisation of higher education in the region, fostering students' mobility and university-to-work transition. The aim of WBAA is to establish a strong union of alumni coming from the WB in order to provide a forum for exchange of information and good practices, contribute to evidence-gathering, promote the Erasmus+ programme and other mobility opportunities, empower young people and support them in their pursuit towards successful employment, as well as foster policy-dialogue with local, national and regional authorities, overall promoting regional cooperation and contributing to the modernization of higher education. Developing Open Educational Resources and Blended Modules for Agriculture and Rural Development – a project organized by Goce Delcev University of Stip in cooperation with the Meditteranean Agronomic Institute of Chania, the Macedonian Organic Producers Federation, the “National Extension Agency and the Agricultural University of Plovdiv. 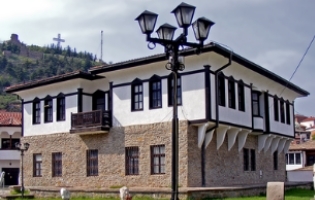 WHY do an exchange in Macedonia?.